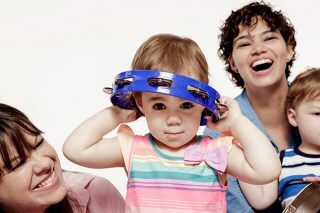 Starlight Starbright Music offers several different types of Music Together® classes. 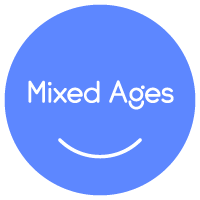 The Music Together Mixed-Age class is the essential Music Together class, one that a child can attend from birth through age 5--and through all nine song collections. This basic class follows the recommendations of child development researchers by grouping children of a variety of ages in one class. This approach fosters natural, family-style learning where younger children enjoy watching and imitating older ones, older children learn by leading younger ones, and adults are happy because the children in the family can go to class together. Each child participates at his or her own developmental level in singing, moving, chanting, listening, observing, or exploring musical instruments. We welcome the whole family to join in this important family music experience. One or more adult caregivers--parents, grandparents, nanny--bring the child(ren) to class. Classes are 45 minutes long and meet once weekly for 10 weeks in the fall, winter, and spring and 6 or 8 weeks in the summer. Each registered family receives a songbook, recording, and song download code; families new to the program also receive new-family materials. To hear some song samples, click here. Every child’s development benefits from early exposure to music and movement. Because the early months are so important, Music Together offers two options for babies. Babies 6 months and younger at the time of registration may attend a mixed-age class, whether registered on their own or attending free with an older brother or sister. Alternatively, babies 6 months and younger may take a special Music Together Babies class offered as a one-semester introduction to Music Together. The music activities in a babies class are specially designed for parents who want to learn as much as possible about music development in infants. This type of class also enables parents to meet other parents of newborns and learn some fascinating music activities that they can re-create at home with the baby. Classes are 45 minutes long and meet once weekly for 10 weeks in the fall, winter, and spring and 6 or 8 weeks in the summer. Each registered family receives a songbook, recording, and song download code; families new to the program also receive new-family materials. To watch our Babies video, click here. To hear some song samples, click here. 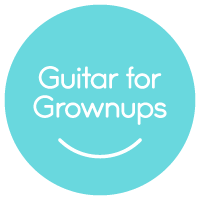 In order to help caregivers learn their child’s favorite Music Together songs on the guitar, we offer the Music Together Guitar for Grownups program. This program is offered exclusively to families whose children are enrolled in one or more of Music Together's parent-child classes and to preschool teachers whose classes are enrolled in Music Together In-School. In class, students learn basic beginner guitar concepts, including simplified chording, so that they may accompany themselves and their families as soon as possible. Classes are 60 minutes long and meet once weekly for 8 weeks in the fall, winter, and spring; guitar classes are not offered during the summer. Each registered student receives a guitar workbook; students must bring their own guitar, capo, and current semester songbook. 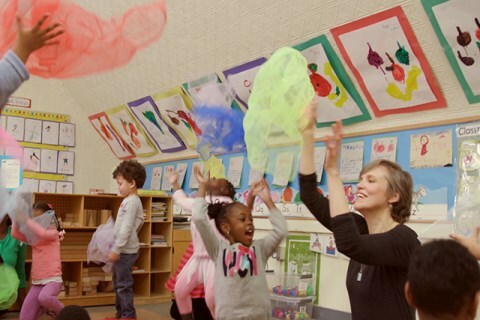 Music Together specialists teach music and movement classes weekly in cooperation with classroom teachers. Classroom teachers follow through on the weekly sessions, adapting activities to their curriculum needs and interests. Recordings, songbooks, and teaching materials are provided for classroom use. Children “bring the music home” for parent/child musical play, sharing the songs and activities learned in school. Parents become involved through the Music Together recordings and songbooks given to each family and through special parent events at school. 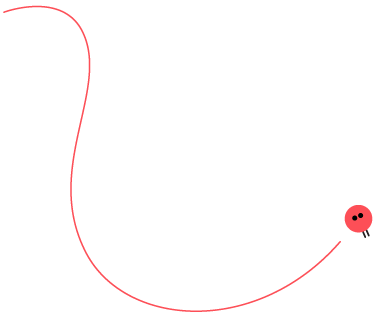 Children learn from the model of music participation set by both parents and classroom teachers. 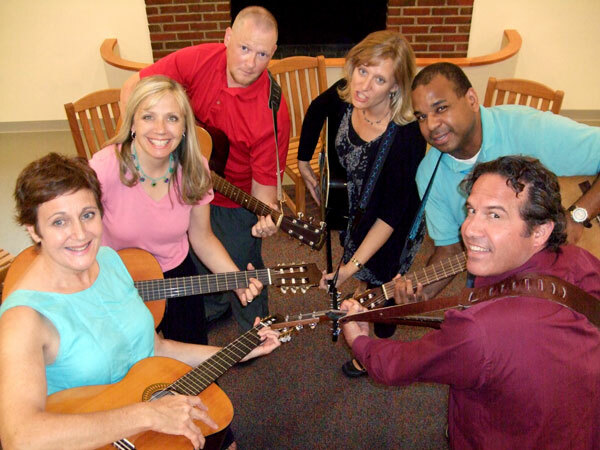 Children, parents, teachers, and staff make music together at school-wide events. The joy of extended family music at home and in school creates a natural circle of learning that builds parent/child, parent/teacher and parent/school relationships. We have provided the Music Together program in the Head Start/Early Head Start preschools in White Plains, as well as several other area preschools. If you are interested in our providing Music Together In-School in your child's preschool, please contact us. 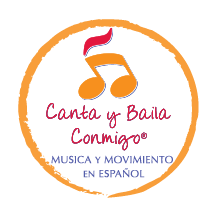 Through a special arrangement with Music Together, we also offer a complementary program in Spanish for children from birth through age 5, with an adult caregiver--Canta y Baila Conmigo®! Canta y Baila Conmigo is a unique curriculum with the dual goals of music education and language immersion. Designed for beginners and native speakers alike, Canta y Baila Conmigo creates a playful, interactive atmosphere where language learning is integrated naturally and organically in the musical experience. Take a look at our video!